Brief Synopsis – A young black girl surprises her parents and brings home her fiancee for them to meet…the only thing they didn’t expect was for him to be white. My Take on it – This is the way remakes should be made! They took the original premise of Guess Who’s Coming to Dinner (1967) and put a slight spin on it just switching around the races of the two main characters. This is obviously not a direct remake since they changed most of the aspects of the story but left the main issue of race. They also took a very serious drama and turned it into a very funny and entertaining comedy-drama. The acting here is great. 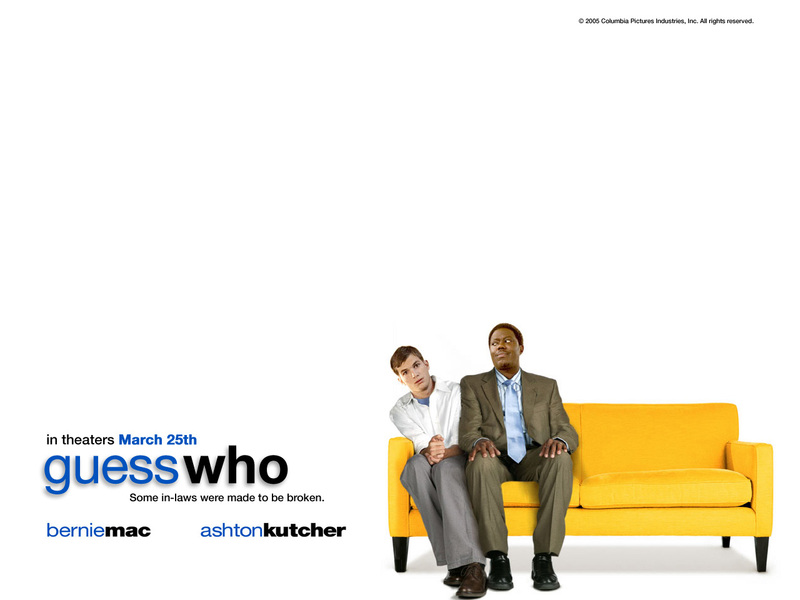 Both Bernie Mac and Ashton Kutcher are hilarious here. They work well together and they show that they have great chemistry. There are many gags that work so well here that both show how serious the racial issue is and also show that the makers of this movie had a fun time making this movie as funny as it is. My favorite gag was the music chosen to be on the radio throughout the movie. (pay close attention when characters are in cars). Unfortunately, 47 years afterwards, inter-racial marriages are still considered somewhat taboo, by many people on both sides of all the racial spectrum. What’s interesting about this movie was that it showed how a black family reacted to potentially having a white son-in-law which isn’t usually what you would expect. Bottom Line – Great premise, shows faithfully that even 47 years after the original was made, there are still reservations regarding inter-racial marriages. Mac and Kutcher are very funny. Recommended!